We have just added a feature to Theatre Manager's facility module that we wanted to do for a long time call the Hot Seat Analyzer. 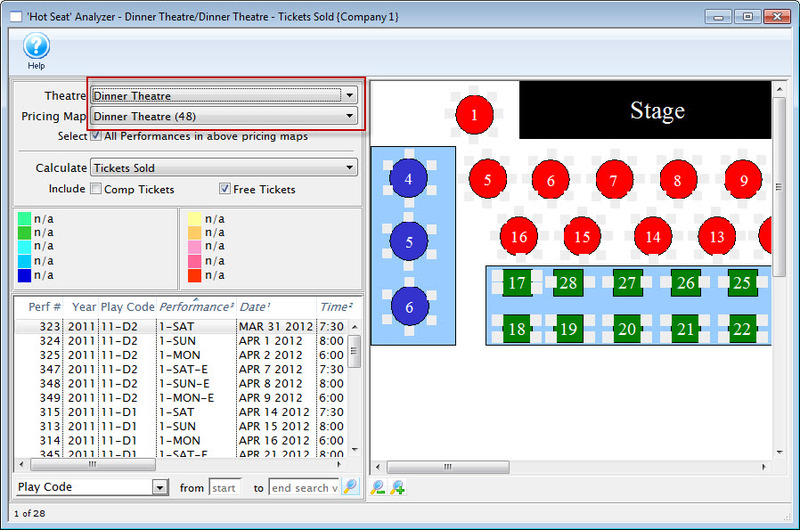 You can now easily analyze the frequency of usage of each seat and/or the value or worth of that seat to a venue under a number of circumstances. Introductory pricing ends July 31st.